CHICAGO (WLS) -- Driving downtown will be even more challenging the next few weeks as road closures begin for the annual Taste of Chicago. Traffic in the area will be heavier as a result of the Grateful Dead concerts this weekend at Soldier Field as well as Fourth of July celebrations. As a result, the CTA has increased its holiday weekend train and bus service. 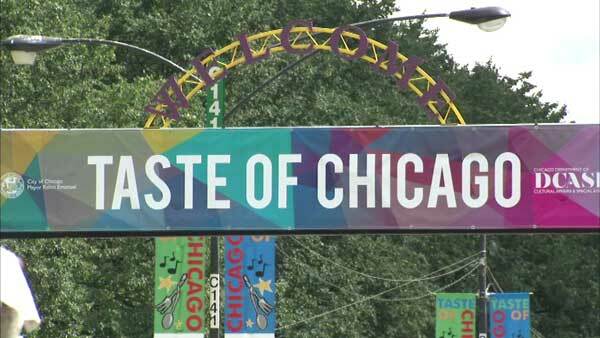 Preparations are also getting underway for the city's big summertime tradition, the Taste of Chicago. Crews began putting up the fencing along Columbus Drive Thursday morning for the festival. The Taste kicks off next Wednesday, July 8, and runs through Sunday, July 12.